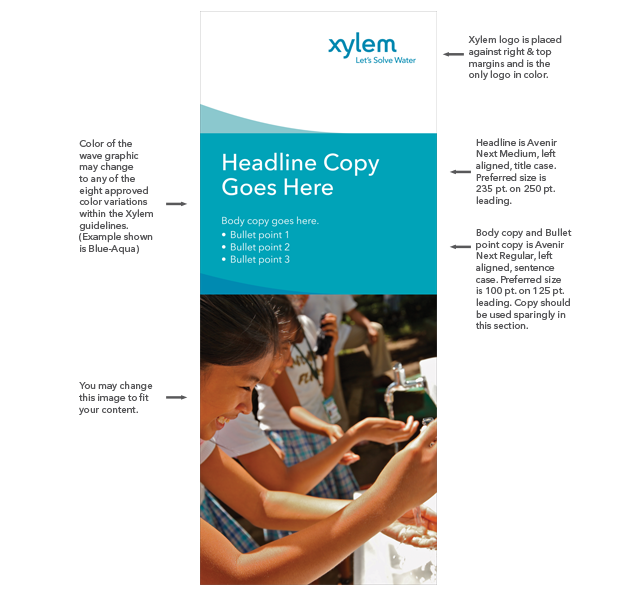 Roll-up Banner | Xylem Inc. The roll-up banners measure 33.44 inches (85 cm) wide by 85 inches (216 cm) high. The following guidelines should be followed in order to create materials that correctly apply the visual elements of the Xylem brand in a consistent and compelling way. Templates are available for download on this page. 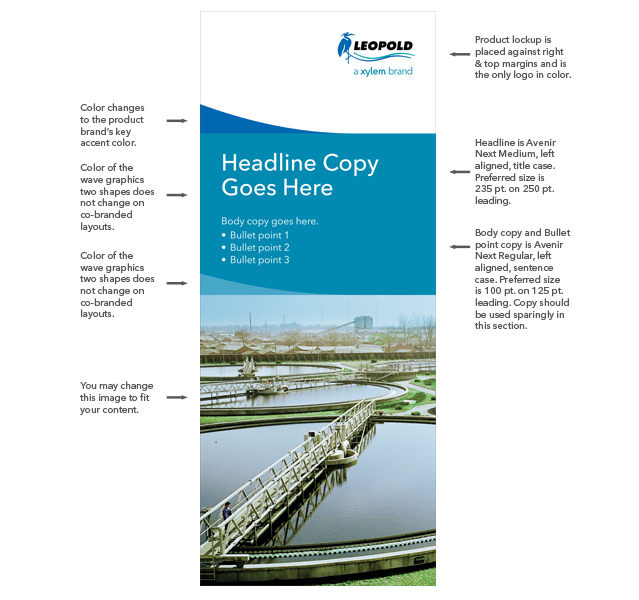 The corporate roll-up banner uses the proprietary Xylem color waves along with a photo, headline and a brief section of copy or bullet points to quickly communicate your desired message. The Xylem logo with tagline appears in the upper right corner of the banner. The product roll-up banner also features the Xylem wave graphic, but it can be customized to match your brand’s key accent color. The space for photography and headline/copy remains the same as the corporate version, and the appropriate product brand lockup replaces the Xylem logo in the upper right corner. See Photography & Illustration for guidelines on choosing and cropping photos appropriately for the banner.